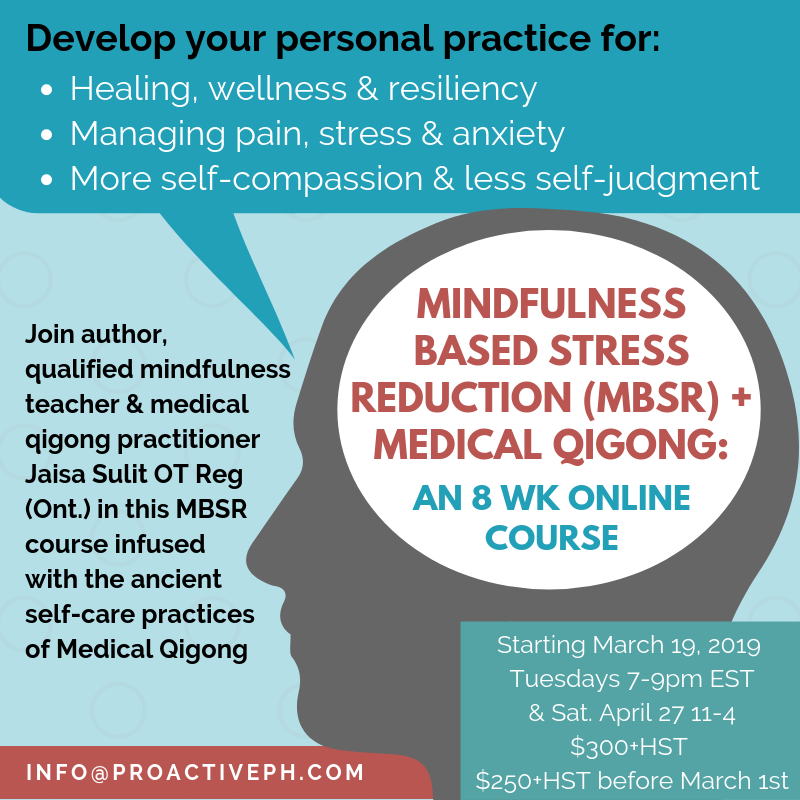 This workshop takes the world renowned 8-week Mindfulness Based Stress Reduction curriculum and infuses it with the ancient practices of Medical Qigong. Why would one add Medical Qigong to Mindfulness? Mindfulness helps us to BE with the present moment as it is without trying to change it, giving us a better understanding of how to move forward with compassion. Medical qigong offers us various ways to respond to each moment with practices that help us to affect change with wisdom and compassion. So while mindfulness helps us to ACCEPT the moment, medical qigong helps us to AFFECT the moment. This course is beneficial for anyone who wants to learn new self-care practices to cope better with stress, pain, anxiety, depression or simply to expand one’s health and wellness. $300 + HST or early bird price of $250 + HST (if registered before March 1st (guided practices on audio and video included).